Little Flower welcomes young women from far beyond its Hunting Park location. Our students desire a single-gender education rooted in the Catholic faith, built on a foundation of integrity that promotes academic excellence, extracurricular involvement, and generous service. Little Flower promotes love, respect, and tolerance for all individuals. Students from many races, ethnicities, religions, and socioeconomic backgrounds create our school community. Support and friendship are woven into the very fabric of the Little Flower tradition. 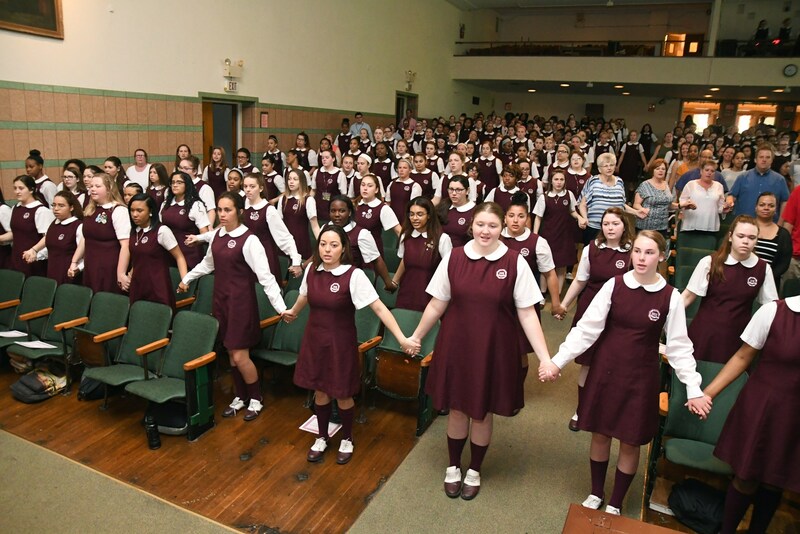 Since 1939, the essence of St. Thérèse of Lisieux – known for doing good each day via small sacrifices – is palpable in the hallways in the classrooms, and in the students’ vibrant spirits. This same spirit lives beyond Little Flower’s walls in the thousands of alumnae who continue to support and inspire our students.